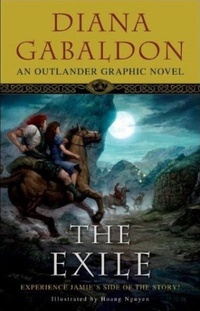 The Exile retells the original Outlander novel from Jamie Fraser's point of view, revealing events never seen in the original story and giving readers a whole new insight into the Jamie-Claire relationship. Jamie's surreptitious arrival in Scotland at the beginning of the tale, his feelings about Claire, and much more — up to the point where Claire faces trial for witchcraft and must choose whether to return to her own century — are brought to life in brilliant four-colour art. A must-read — and a great holiday gift — for any Outlander fan! --This text refers to an out of print or unavailable edition of this title.